The whimsical speckled dot pattern on this dress, the flirty cut, and the belt around the waist all combine to create an adorable summer look. 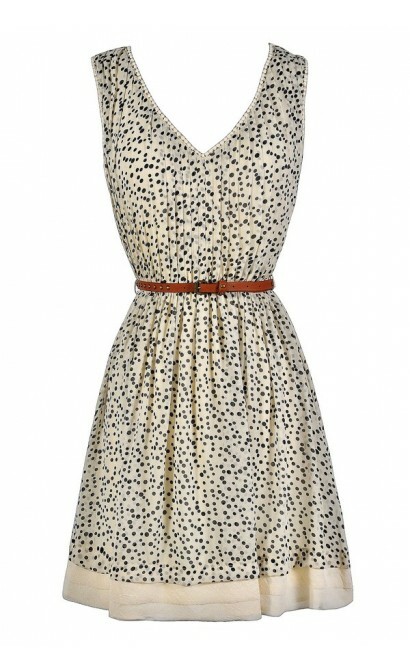 The Speckled and Splendid Belted Chiffon Dress is fuly lined and made of chiffon with an abstract dot print througout. 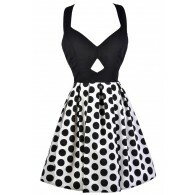 It has wide straps, a V neckline, and an elasticized empire waist. The attached skirt has a flowy cut and band of ivory fabric peeks out from beneath the hemline. An included belt wraps around the waist and ties this look together. 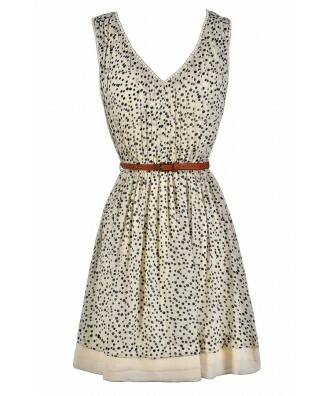 The Speckled and Splendid Belted Chiffon Dress is perfect for any summer party or get-together. It looks nice paired with pumps, wedges, or strappy heels. Try pairing this dress with cowboy boots to match the belt for a cute country look. Details: Fully lined. Belt included. 100% polyester. Contrast: 100% cotton. Hand wash cold. Do not bleach. Line dry. Iron low. Do not dry clean. Small measurements: Length from top of shoulder to hemline: 35". Bust: 34". 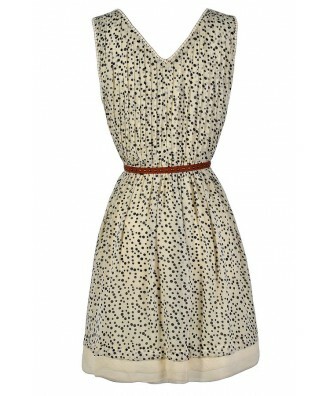 You have added Speckled and Splendid Belted Chiffon Dress in Ivory into Wishlist. 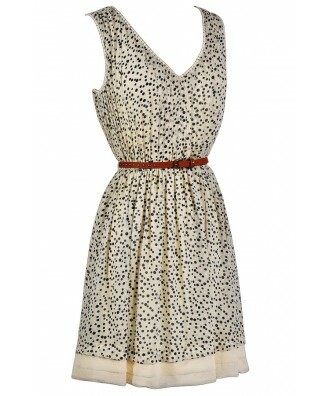 You have added Speckled and Splendid Belted Chiffon Dress in Ivory for Stock Notification. You have set Speckled and Splendid Belted Chiffon Dress in Ivory as a loved product. 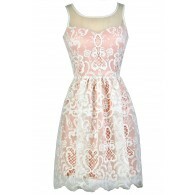 You have removed Speckled and Splendid Belted Chiffon Dress in Ivory as a loved product.